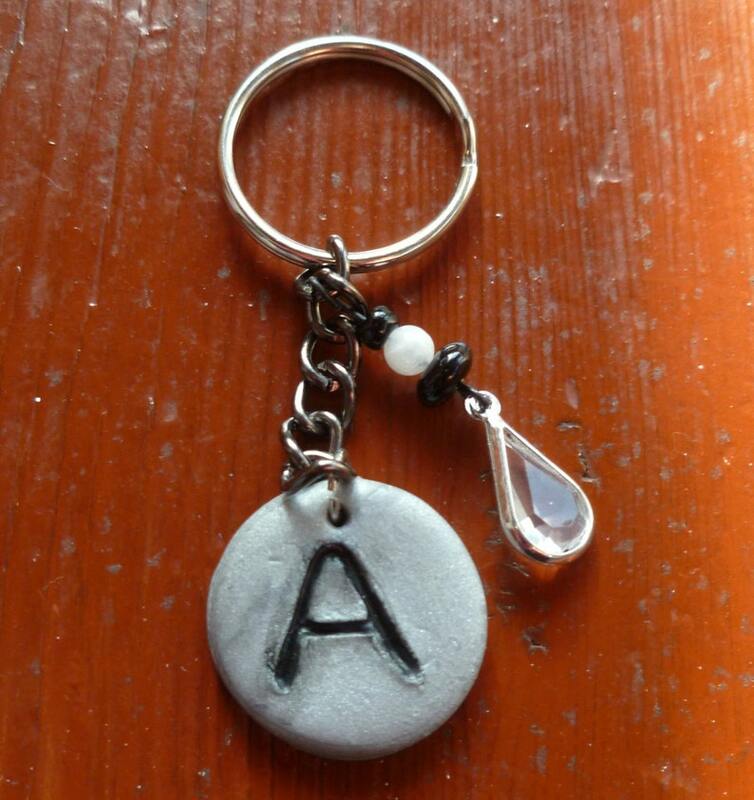 This key chain features a handmade polymer clay round with a handwritten A initial on it. It is accented with black glass and white quartz beads and a crystal teardrop charm dangle. Wonderful gift for anyone with an A in their first or last name or for you! To see the size please refer to the picture with the US Quarter in it.